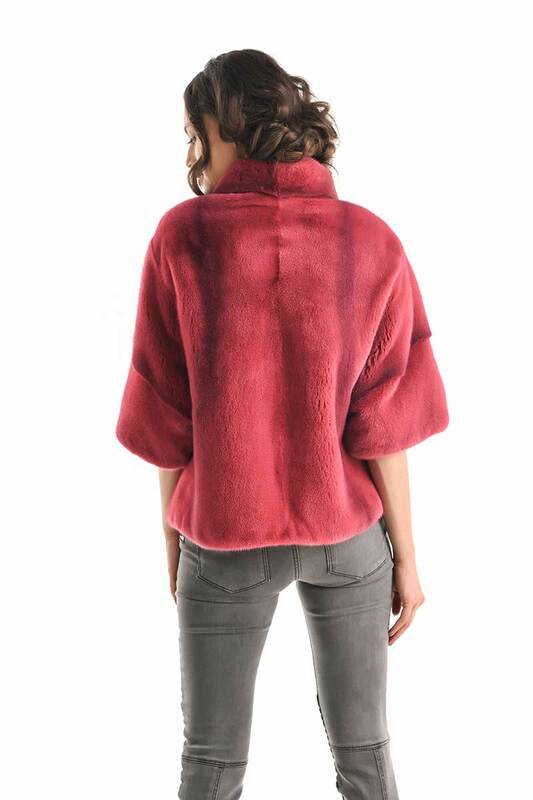 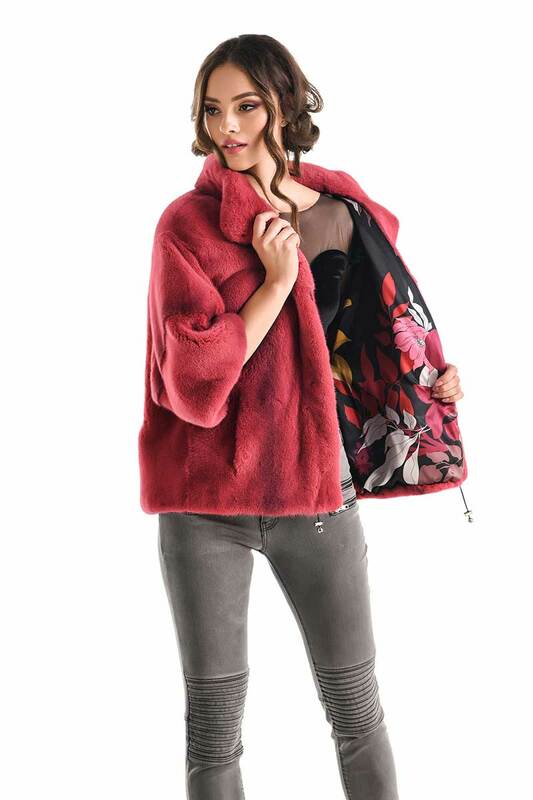 This pink coral mink fur coat may be a piece of resistance in your wardrobe and therefore a long-term investment. 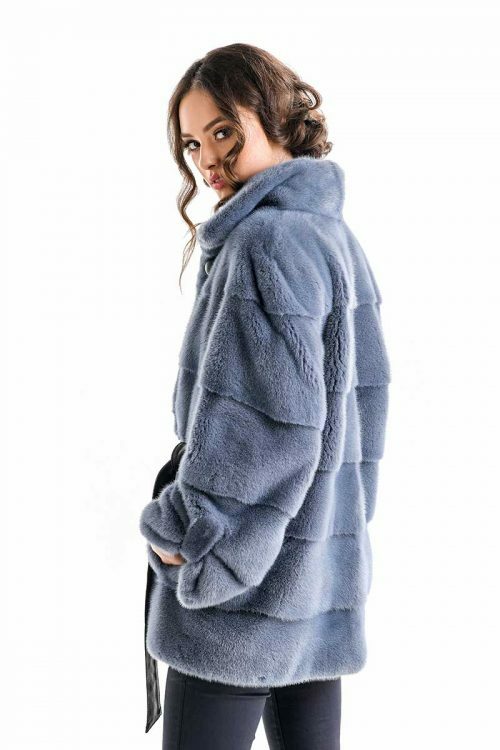 The mink coat is a natural material that, besides its outstanding appearance, also has the advantage of being very warm and pleasant to the touch. 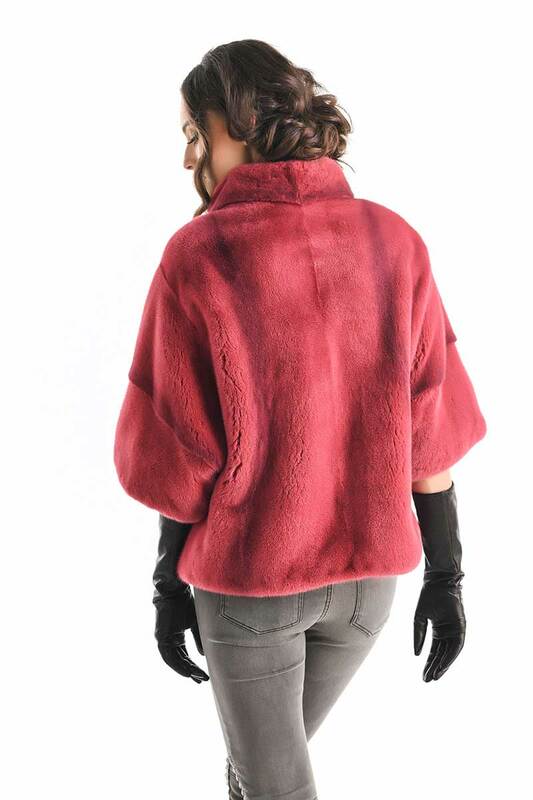 The color of the fur, coral pink, is one of the most beloved colors, being a cheerful and slightly nonconformist color in the case of a piece of clothing such as a natural fur – as a result, you will be able to be original and break the patterns with a different color. 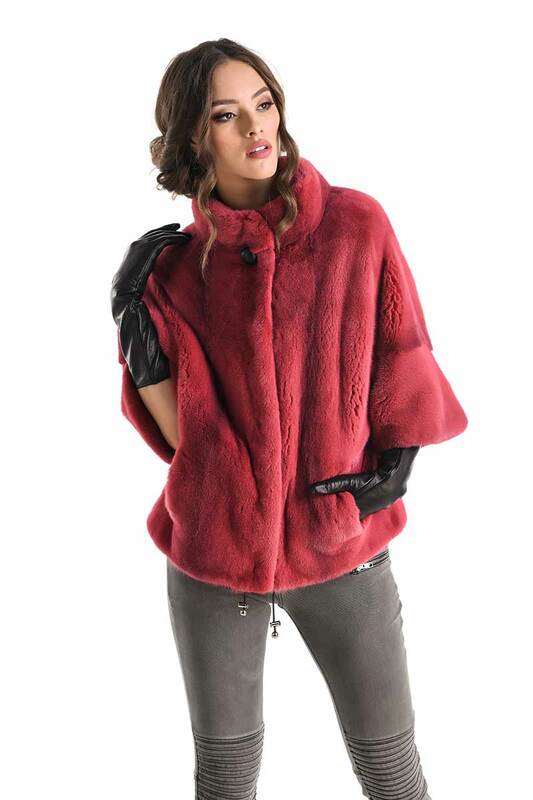 This mink coat has short sleeves and a medium length, being ideal for completing more casual outfits. 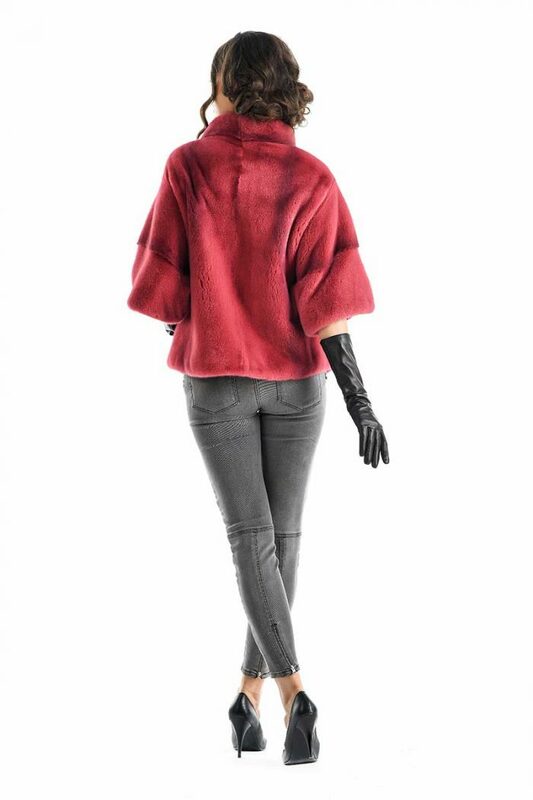 Closing of this piece is done by a button and clips.